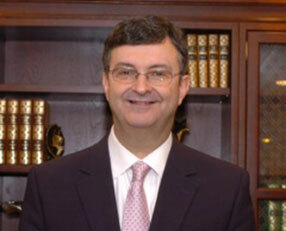 Dr. Gregory Eck first came to Upper Room in late 1978, and became a church member in 1979. He joined the church band as a lead guitarist that year, and became a teacher at Upper Room Christian School when it was founded in 1981. Dr. Eck has taught in that school and been a school administrator ever since. He was ordained as one of the Pastors and Elders of the church in 1987. He became the high school principal in 1989, and the overall school Principal in 1994. Dr. Eck has been a CARE leader at Upper Room from 1985-1994; a Bible teacher at Upper Room since 1980, and a teacher at Upper Room’s Bible Training Institute since it was founded in 1996. He has been involved with many aspects of church administration since his ordination. Dr. Eck regularly teaches and preaches at Upper Room’s Dix Hills and Queens, NY locations. Dr. Eck earned a doctorate in Educational Administration from Dowling College (2011) a Master of Divinity degree from Regent University (2012); a Master’s Degree in Early Childhood Education from Adelphi University (1982), and a B.A. Degree from Dowling in Music Education (1976). He has been married to Pastor Ann Marie Eck since 1982. They have two grown children, Nicole and Sarah, and one granddaughter, Gabriella.